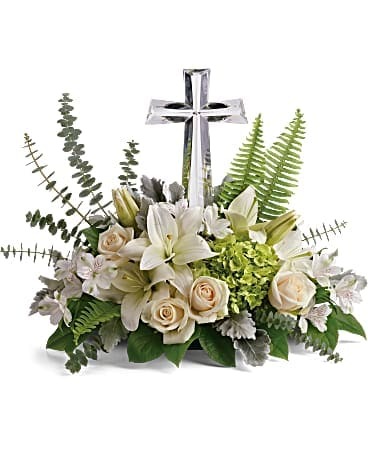 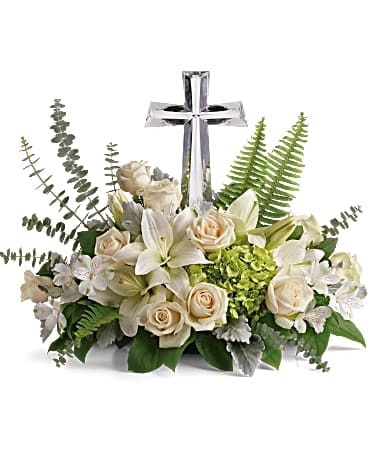 This peaceful bouquet of soft white flowers and green accents is a beautiful message of sympathy, adorned with a large crystal cross keepsake. Flowers will vary. 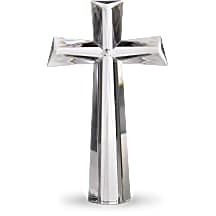 This beautifully crafted Crystal Cross stands at 11" tall and is strikingly refined in its simplicity. 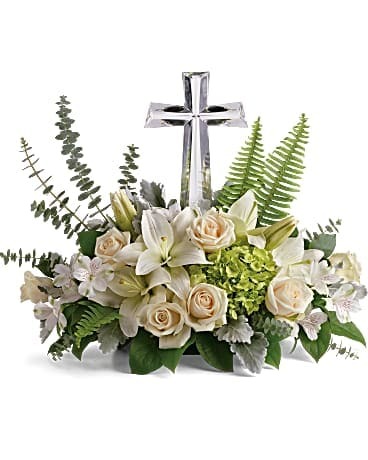 Part of Teleflora's exclusive Flowers-in-a-Gift collection, this symbol of hope and faith will be cherished for years to come.